Realm National Insurance Company, a former New York-based insurer, is the subject of this health insurance company review. Realm National is no longer in business, having closed its doors and liquidated in 2005. 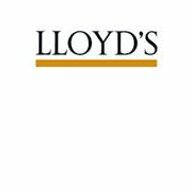 It was first established as an association of Lloyd’s in 1892 with its primary business revolving around disability insurance. Realm also provided certain types of workers compensation policies aimed at specified groups of workers such as longshoremen. We can help you find competitive health insurance rates online if you enter your zip code in the box below. Realm National operated under the Lloyd’s brand name until the company was sold to Stirling Cooke North American Holdings, Ltd. in 1996. At that time, it was a stock company in which Stirling Cooke purchased the majority of available shares. Stirling Cooke is in turn owned by a Bermuda-based company under the name of AlphaStar Insurance Group Ltd. That company filed for bankruptcy protection in 2003. According to historical information provided by the New York Liquidation Bureau, a routine audit by the state revealed some difficulties within the Realm National organization in 2002. The state recommended that the company cease writing new policies until the problems were rectified. The company honored the request and stopped taking on new business in September 2003. That was followed two months later by the suspension of all renewals for currently held policies. Realm National worked to reorganize its business and restore confidence in its ability to honor policies despite the fact that its parent company had filed for bankruptcy. They were not successful in reaching those goals. In June 2005, the company acquiesced to a liquidation order issued by the state of New York. In July 2006, all long-term policies still in force were terminated by the state under terms of the liquidation. To date the liquidation is still ongoing and probably will continue for at least a few years. There is probably a variety of reasons that combined to cause the downfall of Realm National. However, at the forefront was the company’s business model. They focused primarily on disability insurance and workers compensation policies, rather than diversifying into several other products. This is always risky in the insurance business, but especially so when it comes to workers compensation and disability. Statistics prove that in times of economic downturn workers compensation and disability claims grow proportionally. In the case of Realm National, their claims rose to such an extent that they did not have sufficient working capital to meet them. At the same time, their parent company was suffering their own loss of revenues due to the general downturn in the economy. The combination of both of these issues laid the groundwork for Realm National’s collapse. Just for the record, realm National is not the only disability and workers comp insurance company to go under in recent years. There have been at least a dozen such companies in the state of California alone that have been liquidated since 2006. It is a common problem for companies who narrowly define their businesses to only include these sorts of insurance products. The scope of Realm National’s business indicated that their policies would pay out disability benefits to workers who were kept out of work for medical reasons or who were injured on the job. While workers compensation awards tend to be very manageable in most cases, disability payments can be quite overwhelming in some circumstances. Disability insurance payments would cover any number of needs including medical bills, prescription drugs, household needs, etc. For many disability recipients, this type of insurance policy is used in conjunction with government disability payments as a permanent source of replacement income. With the ultimate termination of all policies in the 2006, it is quite likely that the deadline for filing claims against Realm National assets has since passed. However, the only way to know that for sure is to contact the New York Liquidation Bureau and make an inquiry. If the liquidation is still ongoing, you may still be able to file a claim under certain circumstances. Whether you’ll actually be able to collect on that claim is another matter altogether. Claims deadlines for companies being liquidated are typically imposed as a means of offering final relief to the owners of the company. If claims were allowed to go on endlessly, there would be no way to bring the liquidation to a close. Therefore claims deadlines are usually set within a year or two of the commencement of the process. Sometimes deadlines are extended in order to accommodate certain circumstances. It is unfortunate that Realm National met the fate that it did, but that should not stop you from entering your zip code below in order to search for affordable health insurance rates.